With the player, decked in a simple polo shirt, tucked in belted trousers with a trademark face cap, the ball is ready to be put in the hole. The game of golf is so pleasurably addictive that a man once said that he is a prisoner of golf and while he is in the prison, he would request for a hole in his cell and by the end of the day, he would have taught the prison warden how to play golf. The serenity of the green golf course, the company of confident minds like you, the simple target of getting the ball using as few strokes as possible, defines the game. 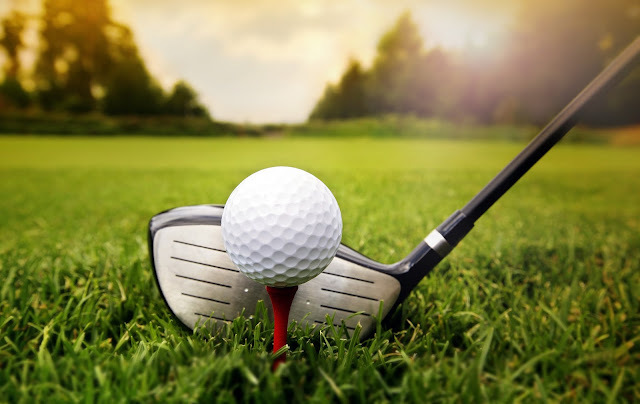 Golf is a club and ball sport in which players use various clubs to hit balls into a series of holes on a course in as few strokes as possible. It does not require contact between players or much exertion of energy. It does not require jumping as required in basket ball or running as on a football pitch and athletes or any other rigorous physical exertion. It is a game of gentleman and lady. There is no other game in the world that offers a mix of exercise, competitiveness, fun and relaxation. It accommodates all kinds of persons, age, skill level, etc. Golf is a perfect blend of social event and exercise. It brings the player back to nature where he interacts with trees, birds, wild companions and the serenity of life. You can enjoy the privilege of age while not subduing the playfulness of your childhood. It builds your character, self esteem, discipline, courage, concentration and focus. It improves the flexibility of muscles and general physique and encourages lifetime youthfulness. Beyond the above benefits, the economic value contributes a whooping 10.3 billion pounds to United Kingdom economy and 15.1 billion pounds to Europe. As an entrepreneur, you too can make money from the many avenues afforded by Golf by providing kits, running clubs, and many more. Now, what’s wrong with being paid for doing something you love? Who says you cannot be the famous playing golf, regardless of your age? What are African women waiting for? The world is waiting for African women to compete the famous names in Europe and America. Africa needs her own Lydia Ko, Inbee Park, Lexi Park; all women, who through self confidence, love of nature and fun, have made names and great financial fortunes for themselves. Let Africa women arise, dunk the white ball into the hole. Find love in the game. Find company. Make name. Make a fortune. Show you are a true African woman. You too, dear lady, can play golf.